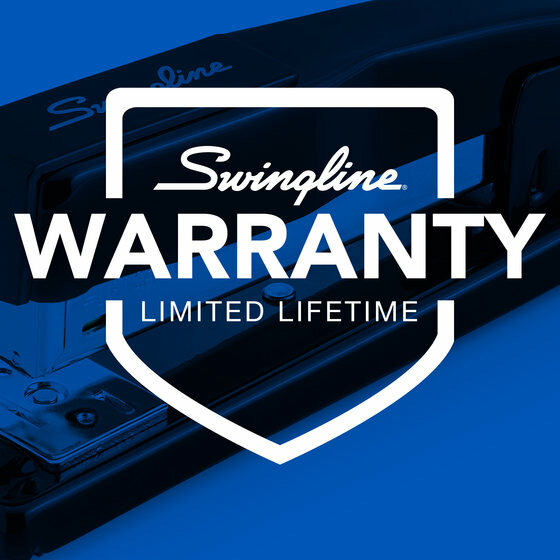 Performance driven, this Swingline stapler is able to withstand heavy use each day. 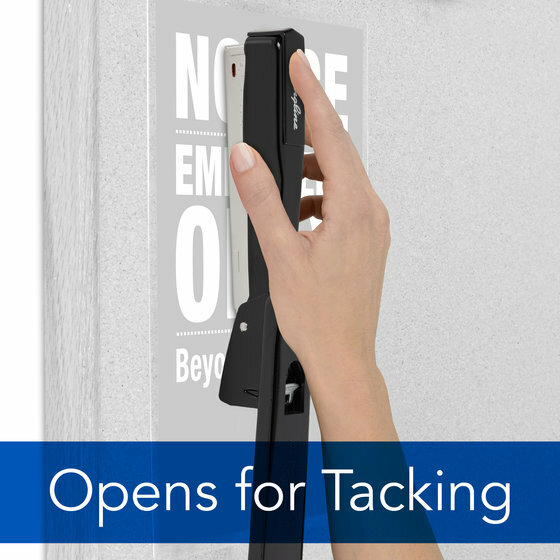 It features a durable metal build to deliver reliable stapling in commercial spaces with frequent stapling demands. Full size stapler holds a full strip of 210 staples. Recommended for use with S.F.® 4® Premium Staples for best performance. A reliable choice for years to come, this stapler boasts metal construction that increases durability and creates a classic look. The full size magazine holds a full strip of staples so you can staple more between refills. It also features an easy to read low staple indicator, so you can refill the stapler before it runs out in the middle of a job. 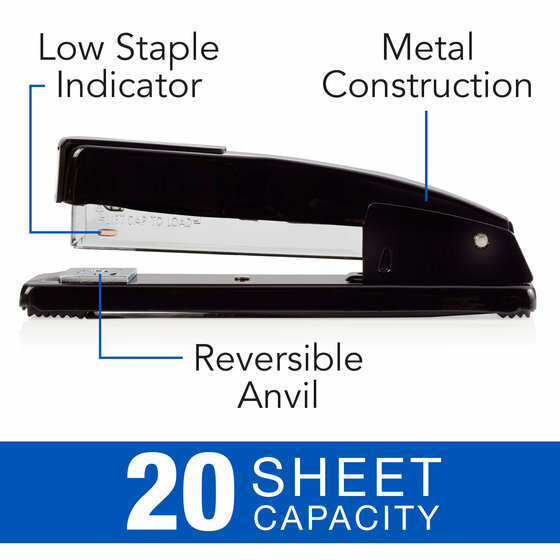 Built for desktop use, this stapler has a ridged, non-slip base that keeps it in place and prevents skidding. The Commercial Desk Stapler is great for more than just desktop stapling. With a simple push of the release lever on the bottom, the stapler opens 180 degrees to make it easy to tack papers to bulletin boards. You can also rotate the anvil for easy pinning. Pin staples are temporary with legs that point out so they are easy to remove without needing a staple remover.